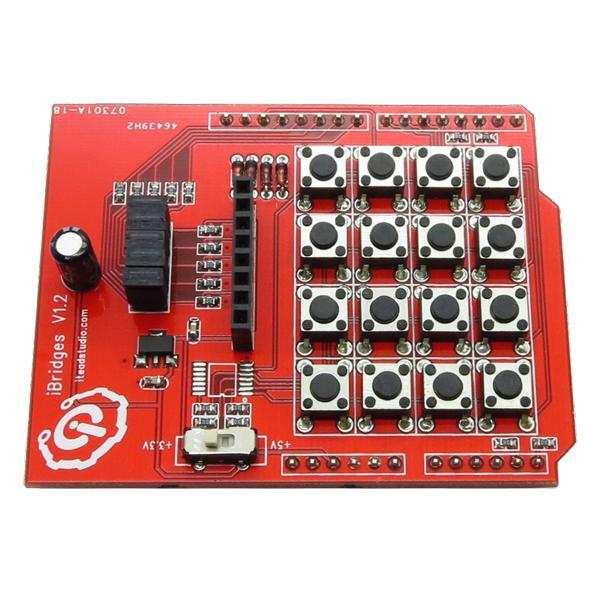 The IBridge 4x4 Keypad Shield provides your Arduino with a matrix of 16 push buttons and a graphic LCD interface. 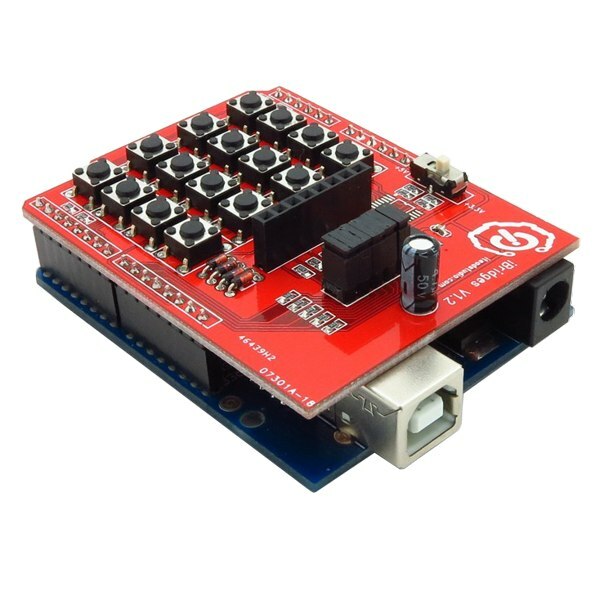 This Arduino shield uses row and column scanning to determine key presses. 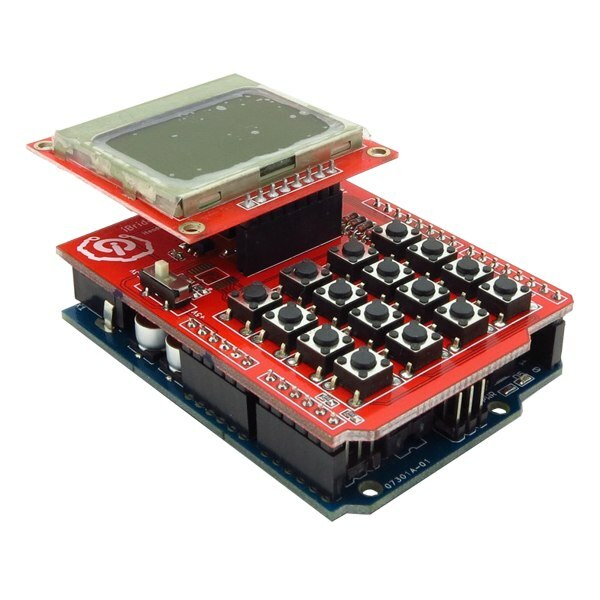 When combined with a compatible 5110 LCD Module, it becomes a mini UI User Interface for your Arduino or compatible microcontroller. You can use it to enter commands or select options for your robot. 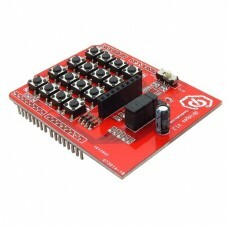 This shield can operate at 3.3V or 5V logic levels.